In 2017 SKiP, funded by a generous grant from the Women & Change Giving Circle, conducted a pilot outreach program. 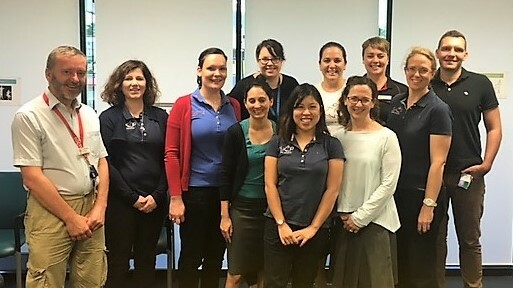 Our Allied Health team visited four major regional areas of Queensland, providing individual multidisciplinary assessments with our specialist practitioners, public education sessions to raise awareness about paediatric chronic pain, and professional education workshops and advisory services for local practitioners. Regions visited included the Gold and Sunshine Coasts, the Darling Downs, and Far North Queensland. Our practitioners worked with local pain management services and Primary Health Networks (PHNs) to deliver an integrated service to local communities. We would particularly like to thank the North Queensland Persistent Pain Management Service (NQPPMS) for partnering with us on our Townsville service. We received wonderful feedback for this program and were able to assist 20 families to access improved pain care, and educate over 200 health practitioners. The SKiP team will use the feedback from this trial to develop an ongoing outreach program. Further details of outreach visits will be released throughout the year. Please email info@skip.org.au if you have an enquiry regarding this service or would like to discuss your needs.